Yet again, I find myself starting a posting with an apology for my recent online silence. For the past week or so I've been on my family holiday, exploring the mountains and canyons of the American Southwest - and then catching up with work at home. The problem with family holidays is that it can be harder to find the time to write - and in this case, also knowing what to write about. Is this blog going to be a food blog or a travel blog? Will I alienate my little handful of readers if I try to be both? These are the things that keep me awake at night. But I will try to keep this an American blog - whether that's American food experiences here in the UK, or writing about my travels when I'm in the US. I hope no one feels this is too schizophrenic! So where have we been? 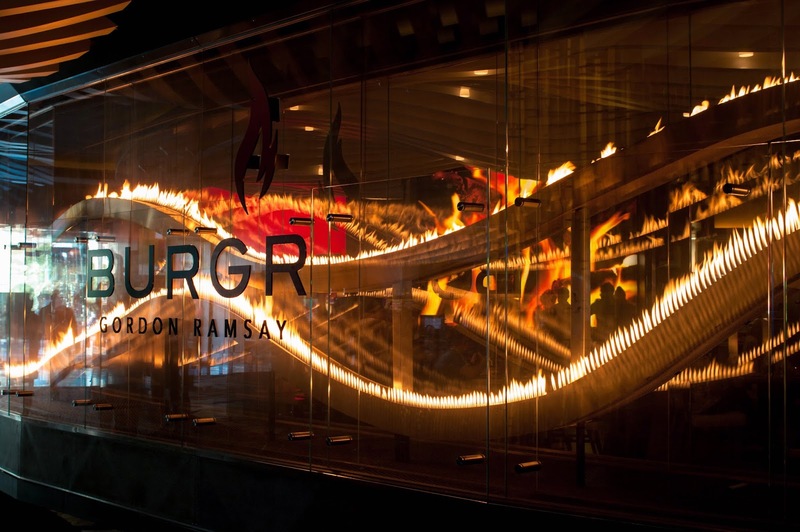 Well, it all started in Las Vegas, with a meal at Gordon Ramsey's BURGR at Planet Hollywood. Now, I was very excited about this before we arrived, being only the second time I've eaten at a Ramsey establishment (the first being the Claridges, ten years ago). However it's telling that, only a fortnight after, I'm struggling to know what to say. Yes, it was a very nice burger. I had the 'American', and I couldn't fault it - and my family enjoyed theirs too. The portion of fries was ridiculously (and inexplicably) large, and could have served all three of us. But ... somehow, Vegas changes things. The fact you're barely partitioned off from the casino, dare I say it, makes it feel like you're eating in a mall. The huge TV screens were distracting, and the ridiculously short skirts on the waitresses were just unnecessary. Nothing seemed to have class. There was no connection to the balletic quality of service I experienced in Claridges. Perhaps that just sums up Vegas. 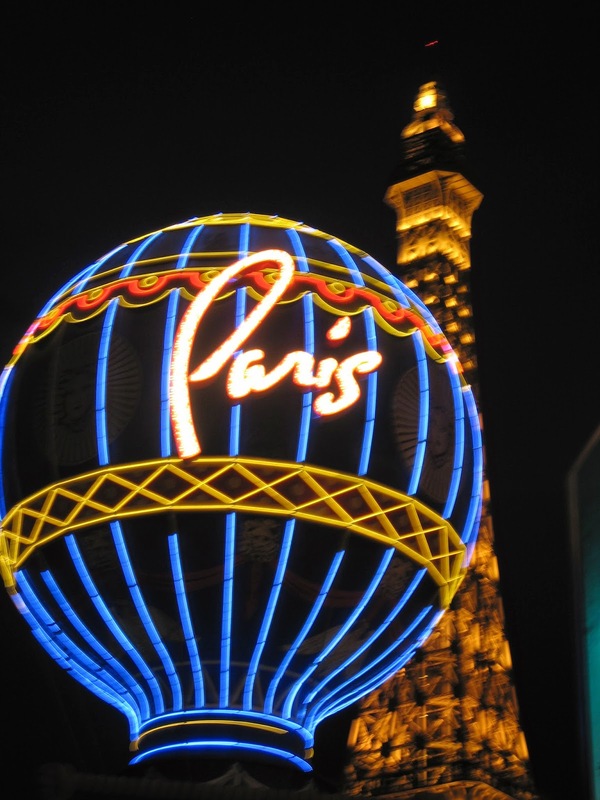 Next we went to that temple of artifice, Paris, to eat at Mon Ami Gabi. Here it was a little easier to suspend disbelief - with our back to the casino, no views of the outside, it's possible to imagine oneself in a dark, wood panelled brasserie. Although when the food arrives, you're instantly reminded you're in the US - the vast portion sizes confirm that. However, the bone in ribeye steak was superb. 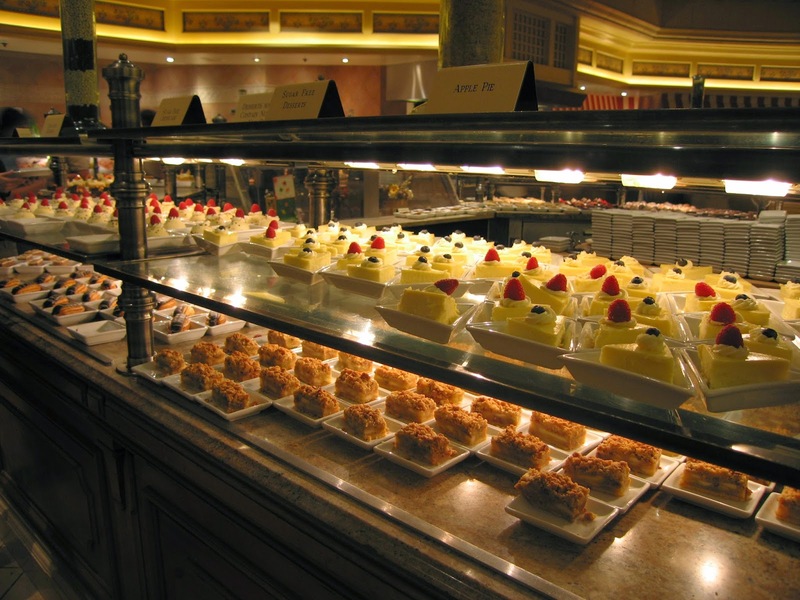 Finally, we ended up at Bellagio, to do what Vegas does best - the buffet! Is there something about getting one over on Vegas that makes them so popular? Even if you can't win on the gambling tables, does trying to eat all their crab and prawn salad make up for it? Allegedly, Bellagio does the best buffet, and I can certainly vouch for the breadth and quality - seafood, sushi, roast beef, ravioli, chinese and charcuterie, it's all covered. Sometimes you even see it all on the same plate (this year, the strangest combo I saw being carried was noodles and croissants). I was restrained, backing out after just eight courses - lightweight.